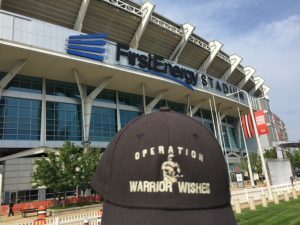 Since kicking off our 2018 All32in17 mission 2 weeks ago, my dad has been on the road making Warrior Wishes come true in Philadelphia, Baltimore, Oakland, Cincinnati, Nashville & Chicago! 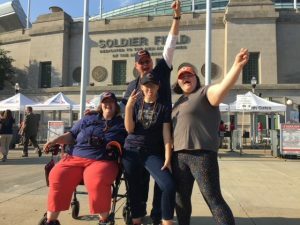 To kick off week 3 of our mission & the NFL season, he’s heading out to Cleveland via overnight bus to make Wishes come true at the Browns game! My dad spent his “day off” watching the grandkids before making his way downtown to catch his 10:45pm Greyhound bus. 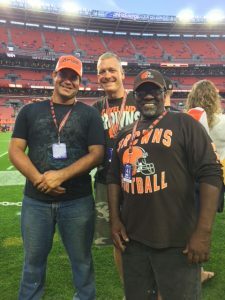 Today we had the honor of hosting Vietnam Veteran Howard Juckett, Army SGT Brice Tinlin as well as Army Veteran & current Wooster “police officer of the year,” Joshua Timko at the Browns game. My dad met up with the warriors at Burnham’s before the game. 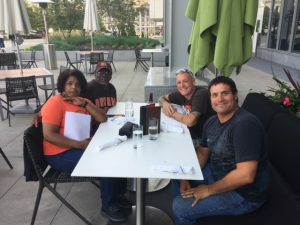 It was clear that these guys were all true Browns fans even though their team has been so bad for so long. Their dedication is admirable! The group enjoyed getting to know each other over dinner & everyone was excited for the game! The group snapped a nice picture outside the stadium before heading inside for a little surprise. 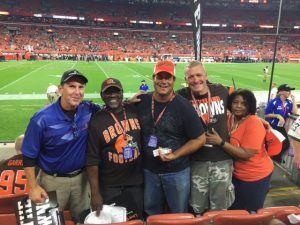 Thanks to our friends at the Cleveland Browns, the warriors all had the once in a lifetime opportunity to take the field to watch the pregame warmups! As expected, everyone was excited to go onto the field. 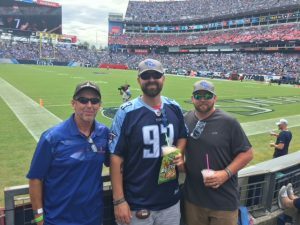 The warriors enjoyed hanging out on the sidelines and took plenty of pictures to capture their experience! Little did they know, that was only the beginning of a wild, crazy & unforgettable night! 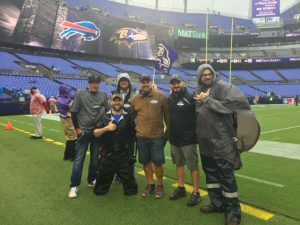 Not only did the Browns provide the amazing experience on the field, they also provided amazing seats to the warriors! As far as the game itself goes… The Browns, as they often do, got off to a slow start & found themselves trailing the Jets 14-0. 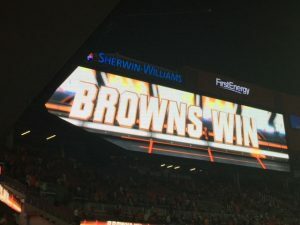 The stadium was lifeless & it seemed as if it was going to be another Browns blowout until… Tyrod Taylor, the Browns starting QB exited the game with an injury & the #1 overall draft pick took over under center. Baker Mayfield entered the game and electrified the crowd! He completed pass after pass and slowly got the Browns back in the game. Mayfield engineered scoring drives & even caught a 2 point conversion pass to tie the game at 14 before entering the 4th & final quarter. Chants of “Baker Mayfield” filled the stadium! After the Jets kicked a 4th quarter field goal to take a 3 point lead, Mayfield drive his team down the field which set up Carlos Hyde for a 1 yard rushing TD to take the lead with 2 minutes remaining in the game! The Browns defense came up big, intercepting 2 San Darnold passes in the final 2 minutes to secure the 21-17 victory!!! 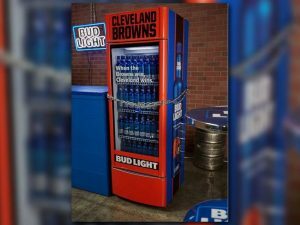 The warriors and Browns fans across the city celebrated the win as if the Browns has just won the Super Bowl! Fireworks shot off from the stadium rooftop & he beer fridges unlocked. The “Baker Mayfield” Chanting continued in the streets. It was officially party time in Cleveland! 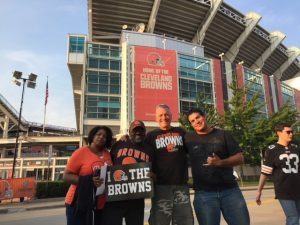 The Browns win one for the warriors & it was the perfect ending to a perfect day for the warriors who will never forget this Cleveland Browns experience! My dad has hosted warriors at hundreds of games since 2012 & he said this game was in his top 10 of overall experiences. He was impressed with how faithful the Browns fans have been & he was happy to see the Browns finally get a win! I’m making a bold prediction right now. The Cleveland Browns will make the playoffs! You heard it here first. 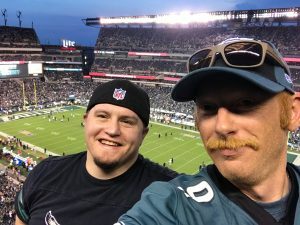 They should be 3-0 right now and I think they have pieces of the puzzle falling into place. I’m rooting for this underdog! 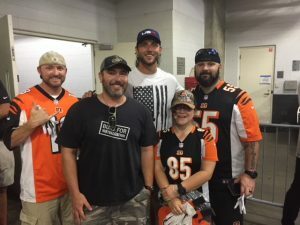 Operation Warrior Wishes would like to thank Brittany & the Cleveland Browns for helping provide this amazing experience. 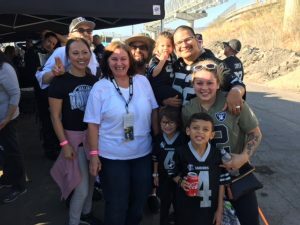 The warriors had the time of their lives thanks to your generosity! We also would like to thank Andrea & Harvey at Burnham Restaurant for providing the delicious pregame meal. 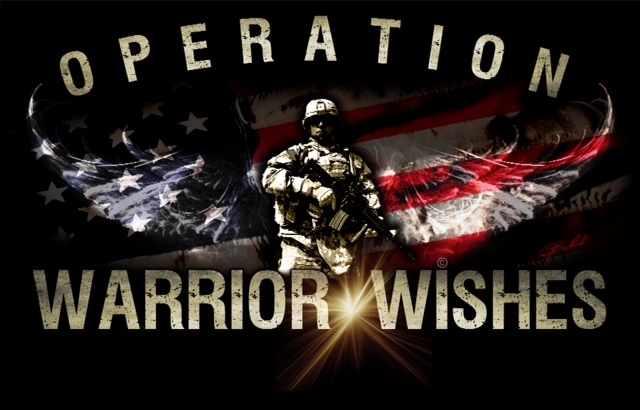 Most importantly of all, we want to send a special thank you to Brice Tinlin, Joshua Timko & Howard Luckett. 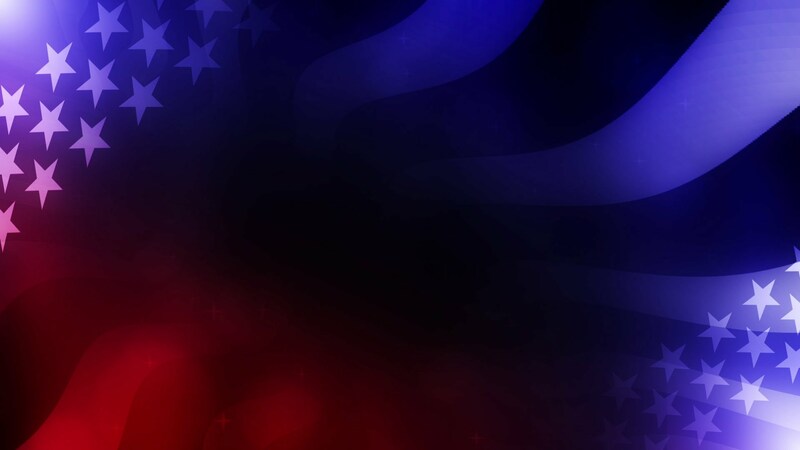 Your guys service and sacrifices are truly appreciated and will never be forgotten!